To many runners completing this big-city race means the world. 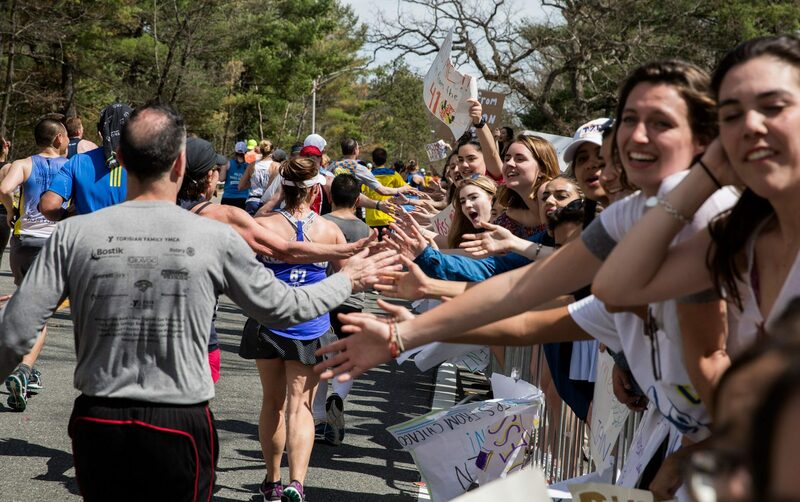 And if you’re wondering how to prepare for the Boston Marathon, the best guess is that you’ve already entered this renowned course or about to do so. Your progress might have led you to this point or, maybe, you’ve even started running in the first place because you wanted to get your journey from Hopkinton to Copley underway. It might have even taken you several half-marathons to qualify but here you are. About to run one of the best races in the world. Before you head toward the start line, you need to put extra effort into preparing for this famed running event. And as you go you and your running training form a bond that’s hard to shake. Running the marathon is a big undertaking and it requires plenty of motivation and persistence. And that’s why you need to carefully plan out your training strategy. There’s plenty of preparation for the big day: regular interval track training, tempo-based runs, hill workouts and a long run that you repeat once a week. 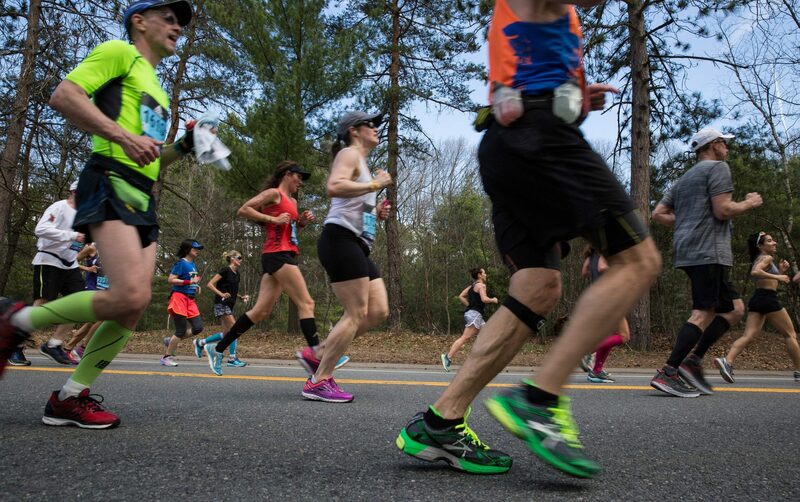 The 5-month training plan is enough to take you to the Boston marathon start line, assuming you’re already an experienced runner and didn’t have a long break right before you started preparing for the event. It means that you should regularly run a minimum weekly mileage of 20 miles. Raise the bar gradually – week by week. It’s generally recommended not to increase the intensity of your runs by more than 10% every week. That’s why it’s important to keep your training consistent. To keep track of your workouts, you may want to start a log. Incorporate full-body training into your running training once a week. Pay special attention to core-strengthening exercises. Since you’ve already built a strong foundation you should know to regularly support and balance your running with stretching. You need to remember to boost your flexibility to eliminate strains and injuries. It’s totally unnecessary to complete the entire marathon distance at once at the stage of training. Contrary to a wide-spread belief, it won’t help you cover the 26-mile distance any easier. You can compete at shorter distances to test your level of preparation along with pacing and nutrition. If you are running your very first marathon, your goal would be probably just to get to the finish line. And that’s a big deal, too! To enjoy the process to the fullest you may want to take the same pace to cover all 26 miles. Only evenly-distributed pace will help you finish the race. It gets easier once you get the runner’s high that hits after a couple of miles. But it’s something you know by now. Last minute advise is not to switch to walking even during training because in that case you will immediately experience muscle stiffness, and lactic acid will stop you from running any further. A variety of training guides can be found online or in mobile applications that offer elaborate programs to help you cross the finish line of the Boston Marathon. Hill training deserves a special mentioning, since it is what distinguishes Boston marathon from many others. And what makes it rather challenging as well. If you have never done a hill workout before, start adding incline to your training early on, to make sure you are ready to conquer the hillside of Boston when the time is right. Include one hill workout to your weekly training. It’s better to run on hilly terrain under real-life conditions, so to say. If there are no actual hills where you live or the weather gets too cold, you can run on a treadmill, just set it at 1-2% incline and then gradually increase it until you get to 12%. Train not to lean forward at the waist as you run uphill. Also, rehearse to gradually slow down by the time you reach the hill. And do the same during the marathon. Many contestants don’t do that at this point and ascend at full speed and, as a result, feel burnt by descend. Slowing down, you save valuable energy which you’ll need later on for running flatter and downhill sections. Work on your uphill training first (for 1-2 months) and then, bit by bit, add downhill workouts. Running downhill can be a real pickle, especially if you have knee and quad problems. Keep in mind that Boston hills are long and gradual, rather than steep. Meaning you won’t be done with them fast enough. To conserve energy, control breath and spare your body some pain, run at a relaxed pace every time you descend. Your body’s normal reaction will be to lean backward this time. But try to stay centered over your pelvis at any time. Gradual inclines and declines with slow increase in intensity – this is how you learn to tame the rolling hills of Boston during your marathon training. It's great if you give the preparation for the Boston marathon your full commitment, but don’t let it consume your entire life. To be in top-notch shape for the event, remember to unwind and relax after your training. Take it easy and remember to have a good rest and recover after each training. Warm-ups and cool-downs are a vital part of the recovery and of your preparation for the third Monday of April. Dedicate no less than 15 minutes to warm-ups and at least 10 minutes to cooldowns. They are extremely important to boost your performance. Add easier workouts here and there when you feel drained of energy. Listen to your body and give it a break when it tells you so. By pushing yourself to the limit you can get sick or injured. Surely you don’t need it before the event. After the actual race it’s best if you rest and recover for 2 days straight. This will do all the difference. Preparing for the Boston marathon might get pretty intense. But loving and enjoying every bit of it is what takes you to the finish line. Remember that shortly before the marathon the entire city turns into the place to be. The grand expo will be unfolding right before your eyes. There you will be able to find everything you need for the race: gear, apparel, running shoes, the marathon signature jacket, last minute necessities (like a sunscreen, water bottle, a wastepack etc.). The entire city will be filled with cheer and fun in anticipation of the big event. So, prepare to get an overdose of encouragement and motivation from the locals. Being emotionally ready for an event like this dictates your success. And do you know what the best part is? After a preparation like this the actual race won’t feel quite as daunting. And before you know it, you’ll be able to check Boston Marathon off your bucket list. Hang in there Boston ‘cause here you come! A good point about incline training. Often gets overlooked for some reason… Nothing to do in Boston without strong quads, people. I’m just thinking about entering it. Next year maybe. Sounds like a great deal of preparation and not sure if I’m ready. According to this article I’m neither fit nor prepared to enter the marathon and I’ve already qualified!